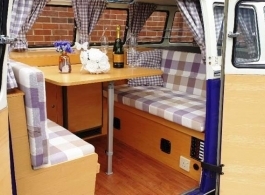 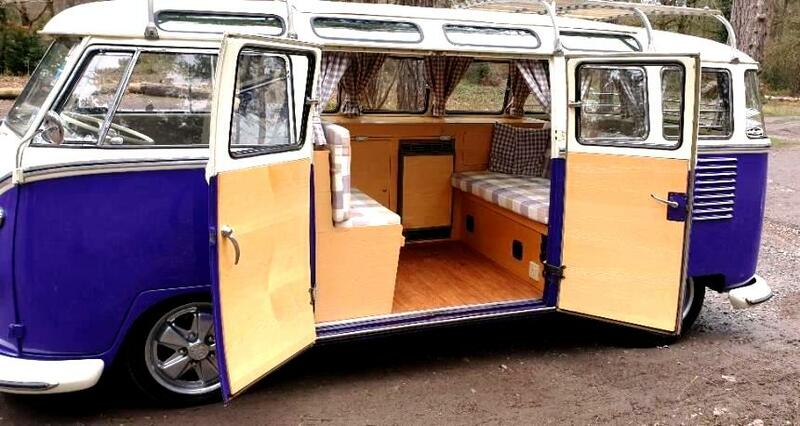 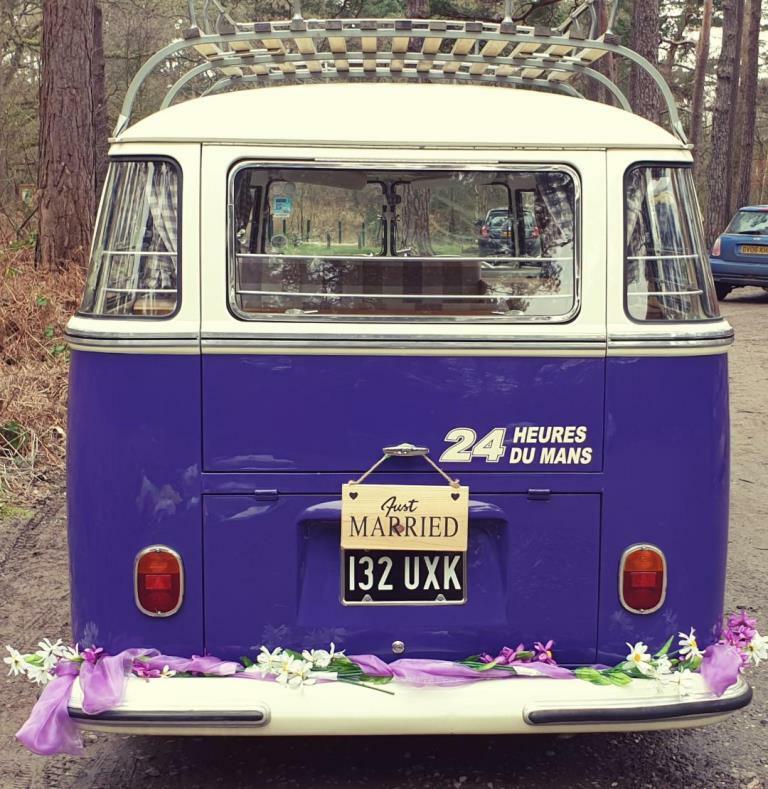 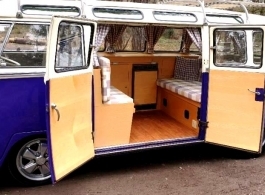 Based in Reading, Berkshire and available for weddings in all surrounding areas is the Purple Splitscreen VW Campervan. 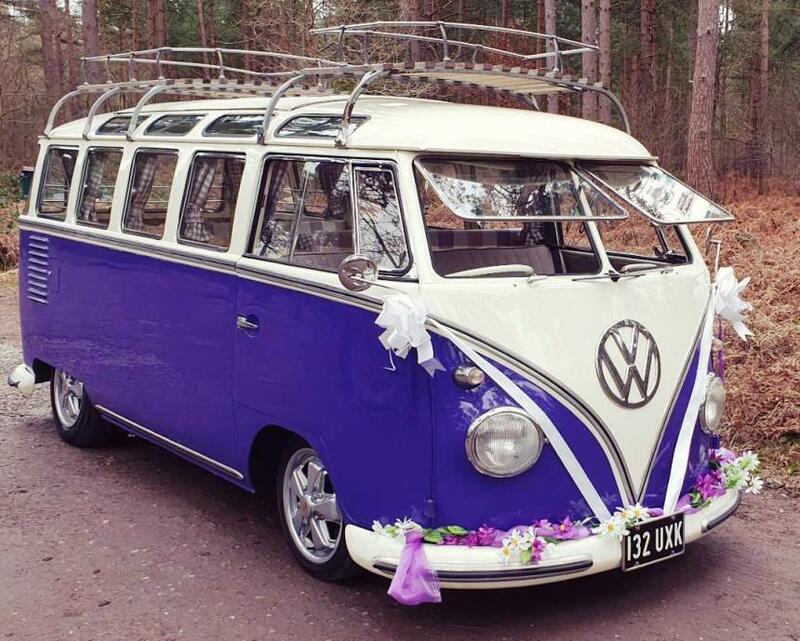 This VW is a 23 window Samba Deluxe model from 1961 and the unique colour is a great contrast to a White wedding dress, perfect for photos. 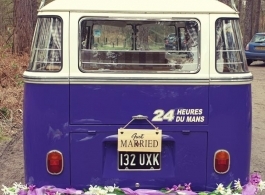 The bride and her father can be taken to the wedding venue and of course the bride and groom taken on to the reception afterwards, or if the wedding and reception are all at the same venue then the VW can take the happy couple for a short drive after the ceremony. 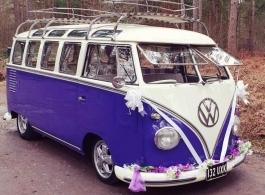 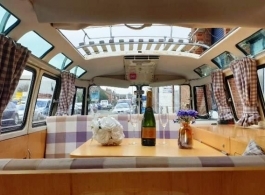 Alternatively the Campervan is a great choice of vehicle to take the bridesmaids, family, friends etc to and from the wedding.